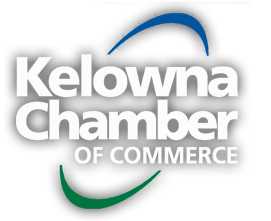 Ottawa, February 12, 2013—Today, the Canadian Chamber of Commerce and its nationwide network of chambers of commerce, including with the Kelowna Chamber of Commerce, unveiled its Top 10 Barriers to Competitiveness list for 2013. The Top 10 Barriers to Competitiveness is an initiative the Canadian chamber network undertook last year to draw attention to the barriers that are holding back Canada’s progress and to urge all levels of governments to act more swiftly in increasing our country’s ability to compete globally. Canadian Chamber of Commerce President and CEO Perrin Beatty declared the initial year of the initiative a success. “As we take stock of the first year of the Top 10, many of the items we listed were addressed in the course of 2012,” he stated. “Our members recorded a major victory when our appeal for change to the regulatory processes around natural resource projects was overwhelmingly accepted by the government. For a country so dependent on the success of natural resource projects, making a more efficient process is a huge contributor to competitiveness,” declared Beatty. The Canadian Chamber network’s number one issue in 2012 was Canada’s skills shortage. “We were very satisfied to hear the Prime Minister also identify skills as a major priority issue of his government,” added Mr. Beatty. The Canadian Chamber network intends to maintain its focus on skills in 2013, particularly in addressing four key areas: upskilling, immigration policies, education-employment alignment and Aboriginal education and workforce development. Addressing the Top 10 Barriers to Competitiveness will go a long way towards restoring Canada’s competitiveness. The Canadian Chamber network is calling on its own membership, on governments, on labour organizations, on educators and others to tackle and overcome these barriers as tolerating them is simply not an option. Effectively addressing these 10 barriers will sharpen Canada’s competitive edge and allow us to prosper in the global economy. “The need for action is urgent. The standard of living of every Canadian depends on how well we respond to the challenge. We must identify and implement real, tangible solutions for breaking down the barriers to our competitiveness and for creating more opportunities and greater prosperity for Canadian businesses and families,” concluded Perrin Beatty. Governments and businesses across regions and sectors will need to work cooperatively and aggressively to address this ubiquitous issue, particularly in four key areas: upskilling, immigration policies, education-employment alignment and Aboriginal education and workforce development. The overseas market will be of critical economic importance to Canada in the 21st century. Federal and provincial governments must act now to support the development of the infrastructure and relationships needed to realize the full potential of Canada’s energy endowment, or risk missing out on a historic opportunity. Improved trends in business investment in productivity-enhancing technologies and equipment are encouraging but still leave Canada underperforming relative to its competitors. To improve its productivity, Canada must leverage advanced technologies and efficient infrastructure, support efforts to raise literacy and numeracy levels among workers and ensure its EI program is not a disincentive to work. Government commitments to infrastructure have been intermittent and the criteria changeable, making private sector investment difficult and expensive. Mobilizing private investment to finance public goals is essential for infrastructure development. Canada’s tax system over-relies on income and profit taxes, the most economically-damaging forms of taxation. Canada’s tax system is also overly complex and, as a result, imposes unnecessary and significant compliance and administration costs on businesses and consumers. Canada must create a simple, fair and growth-oriented tax system. Canada lacks a definitive innovation strategy that brings coherence to the many government policies and programs affecting private research, academic research and commercialization. A clear approach that leads to action is urgently needed. Poor innovation leaves Canadian business vulnerable to competitors and to changing economic conditions. Canada’s competitiveness is constrained by a focus on slow-growing, traditional markets. Canada must reduce its dependency upon its usual trading partners and expand its access to new markets in Asia, Africa and South America. Legal access to these markets is but the first step. Canada needs to construct trade strategies that will turn access into success. Canada is still far from being a barrier-free internal market. Internal trade barriers cost Canada’s economy more than $14 billion each year. Canadian business still has to petition governments for the “right” to sell goods and services in Canada. Canadian business needs a new agreement that will deliver a single, unimpeded marketplace for internal trade, labour mobility and investment. A critical element of business competitiveness in any industry is access to capital—be it through venture capital or through foreign direct investment. Canada must support a sustainable private-sector led venture capital market and increase its appeal to foreign investors. Consult the Top 10 Barriers to Competitiveness overview and detailed booklet.